When Hurricane Matthew blew into the East Coast, the storm brought significant destruction with it. But it couldn't derail Robert Gall's liver transplant and his second chance for a healthy life. "It's like being given the gift of a baby," Maureen says. "This organ is going to let you live." In 2007, Robert had been diagnosed with cirrhosis, the result of a hepatitis B infection. He was given antiviral medication to control the virus and to keep the disease from progressing. In August 2014, Robert switched his medical care to Mayo Clinic, where he met gastroenterologist Raj Satyanarayana, M.D. During a consult in December of the following year, it became clear to Dr. Satyanarayana that Robert had experienced several complications that seemed to point to liver failure. 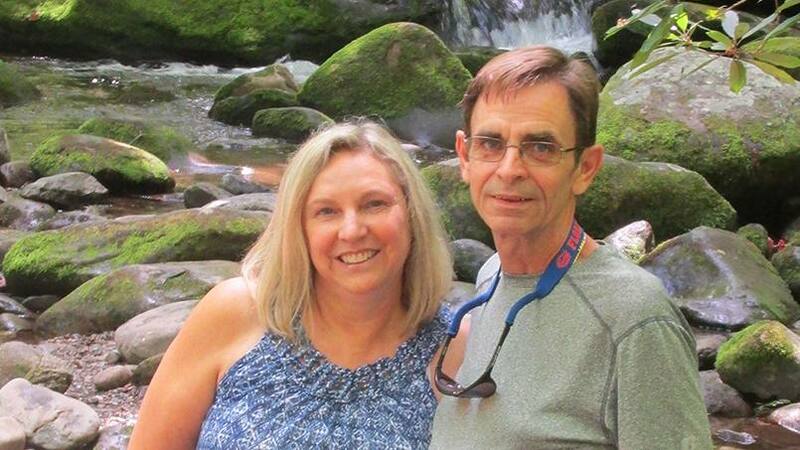 Robert had bleeding from enlarged esophageal veins (a condition called esophageal varices), malnutrition and portal vein thrombosis ­— a blood clot in the portal vein, which drains the digestive organs and the spleen and carries blood into the liver. Dr. Satyanarayana recommended Robert as a candidate for a liver transplant. Based on a variety of medical tests, candidates for a liver transplant are given a number called a Model for End-Stage Liver Disease, or MELD, score. The score indicates how ill a person is and influences his or her position on the liver transplant waiting list. The higher the score, the more serious a person's condition. Despite his many complications, Robert's MELD score was low. That's where his situation remained for several years. On June 7, 2016, Robert awoke at 4 a.m. vomiting blood and feeling like he would pass out. The Galls lived less than two miles from Mayo Clinic, so Maureen drove Robert to the emergency room, where his condition was stabilized and he was admitted to the intensive care unit. During the episode, Robert had taken a significant amount of blood into his lungs. As a result, they had to be suctioned throughout the night. "I credit Dr. Moreno Franco and his team in the ICU, who didn't leave his side. What a great bunch of folks," says Maureen, recalling the team that cared for Robert. The doctors discovered that Robert's bleeding was a result of esophageal varices that had burst. The varices are abnormally enlarged veins in the esophagus that develop when normal blood flow to the liver is blocked by a clot or scar tissue in the liver. The pressure from the blockage forces the blood to find other pathways through smaller veins, which can then rupture. To stop the bleeding, Robert's physicians placed a balloon in his esophagus to compress the varices. They placed a shunt between the portal vein and the hepatic vein, which carries blood from the liver to the heart, to reduce pressure. Robert also was suffering from hepatic encephalopathy — mental fogginess that can develop when toxins the liver normally filters out enter the body's main bloodstream. At one point, the ammonia level in his blood was so high, Robert was in and out of the hospital every week. By late August 2016, Robert had become severely malnourished and had to be fed through a feeding tube. His worsening condition meant his MELD score was higher, moving him up on the transplant waiting list. A week before Hurricane Matthew drew national attention, the Galls received a call that a liver was available. Unfortunately, several hours after they arrived at the hospital, the transplant team determined that organ was not a good match after all. "You're scared because you're looking at a life-changing surgery and hoping you'll get an organ. But you don't know when it's going to be your turn," Robert says. A week later, as the effects of Matthew were still being felt in Florida, a second call raised Robert's hope again. When the Galls arrived at the hospital, they found that, this time, the donated liver was, indeed, a match. The six-hour transplant surgery went forward without complications. Today, Maureen calls her husband of 16 years Bounceback Bobby. "Less than 24 hours after the transplant, the color returned to his skin, his appetite picked up, and he had a gleam in his eyes that I hadn't seen in a long time," she says. "Within a few weeks, he looked and felt like a new man. He was walking faster than me, and I had to ask him to slow down." Robert was excited to get his appetite back. "I didn't stop eating. I'd wake up in the middle of the night and have cereal. I was eating at all times," says Robert, who gained 30 pounds in the months following his surgery. As the Galls welcomed 2017, Robert was cleared to go back to work. After being on disability for seven months, he was thrilled to get back to building plane and submarine parts for the Department of Defense. Today, he is just as happy. "I went in for my four-month evaluation in February. They said my numbers are the best they'd ever seen," Robert says. "Mayo Clinic gave me the best gift I could ever have. I want to live life to the fullest." Connect with others talking about Liver Transplant on Mayo Clinic Connect. I travelled to Jacksonville Oct 4 – 23, 2016 for my transplant evaluation fro metro Detroit MI. We evacuted to Alabama and bought a tent. I was too early for transplant with my NASH and compensated cirrhosis. I am sorry to hear you had to become so ill first, but joyful and inspired on your recovery. Hurrican Mathew was tough on the beaches and the Pier, but they reminded me that they could weather a storm and be repaied. We ate at Singleton’s because it survived the storm, like I plan to do and as you did! Congratulations for getting back into the workforce and to be you again! Thank you Mayo Clinic for saving you! Mayo Clinic is doing great job in health healing efforts specially Mr Robert Gall’s is lucky person who didn’t give up for a healthy life.